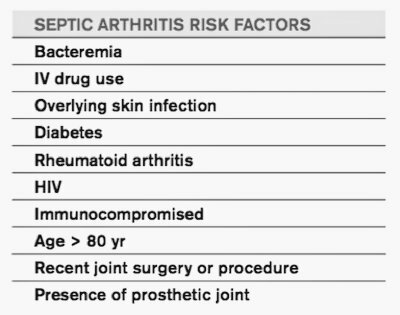 In this article we will discuss about Symptoms and Risk Factors of Septic Arthritis. So let’s get started. Pseudoparalysis or inability to move the affected joint.